Post subject: My serves need more spin. How to improve racket speed? Is there some way I can learn to get more racket speed for my serves? I'm told part of the problem is that I'm not using my body, just arm, so I'm looking for some way to train myself to improve. I was thinking of attaching something to the end of the blade that would vibrate with a higher note as the blade speed increases? But I would think you coaches must have some tried and true method that would help someone get more spin? - at least in the beginning make sure you have a very generous backswing. - don't throw the ball back towards the bat as this just reduces the backswing. - aim to hit the ball very fast and very fine. If, at first, your serves go long then don't slow your swing down to get them shorter but rather keep the speed up and aim to hit the ball finer and finer. Don't worry if you serve a lot of faults initially - this is often a good sign. I heard about one Japanese theory of teaching young kids to serve sitting on the gym floor. This gets them trying to spin the ball and have it come back to them or jump left or right. By this swing practice on the floor, they don't get hung up on missing or accuracy or clearing the net so that way they learn a free fast motion. The coaches felt that making kid serve on the table right away inhibited them from ever learning the right stroke later. The idea was learn proper racket speed first and accuracy can be developed later. You might try some drills where you spend some time with the net off, take that out of the equation and go for maximum action on the ball instead. In softball hitting they teach that bat speed can be increased by making swings with a super light bat, like a whiffle bat. Repeatedly moving fast is the only way to teach your muscles to be comfortable moving faster. A heavy bat may make you stronger but when you think about it you are practicing moving your muscles slowly when you swing a heavy bat, even though it feels like you are working really hard. So for bat speed you do a work out where you use different weights of bat. Might be adapted to Table Tennis by practicing some of your serving with a really light bat that has only one sheet of light rubber glued to it, to teach your body the feel of a new faster swing. One thing which may be worth noting: I find that a higher toss makes it easier to hit really fine. The higher toss makes it harder to time the impact to max bat speed, so don't expect immediate increase in spin. It adds spin potential once you get the timing right. 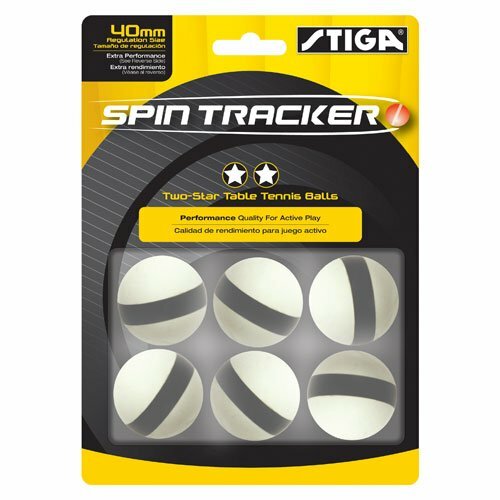 Something that helped me is to practice serving with spin tracker balls. These are balls that are marked in such a way to allow you to see the spin on the ball and will help you see what techniques works/doesn't work. You can get them from Amazon inexpensively or use a magic marker and make your own. Paying for service coaching, everyday 100 balls serving. Dedicate plenty of time servicing and use a lot of wrist. Watch serves you want to imitate from the pro in slow mo and try to replicate. If you have your own unique serve, try developing it by using different angle of wrist. That's a good point, although if he's looking for max spin I think tacky is the way to go. I tried Globe 999 with 1.8 sponge and it spun well, but was slower, and took my forehand smash out of the picture as a result, and didn't do as well as with the Nitakku Narucross GS Soft 1.9 or 2.1 that I had been using before that. I was also told my chops and serves had less backspin with it. The Yasaka Rakza 7 Soft 1.8 I have now gives spinnier serves and chops than the Narucross did. Could you please suggest the tacky rubber you think is best? Its all in the strength, speed and flexibility of your wrist. Practice improves all of them. It's easier with a tacky rubber and easier with a soft sponge but mostly it's all in the wrist. Soft grip... timing.... accelleration... foam said it all... in the wrist but also in the mind.